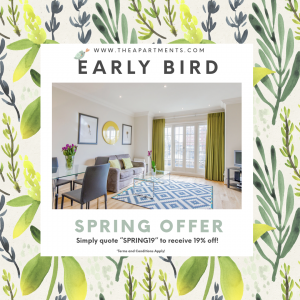 Early Bird Spring Offer! – Looking to book a long stay serviced apartment? 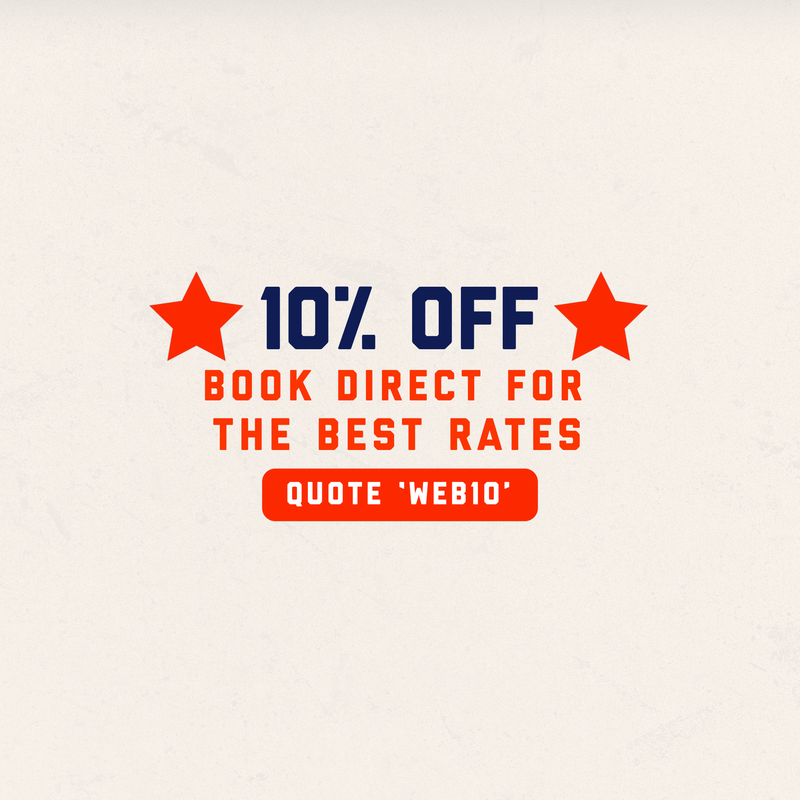 Book now in EARLY19 to receive 19% OFF. This offer applies to new and direct bookings only. This does not apply to agency/third party bookings, extensions / amendments of existing bookings. 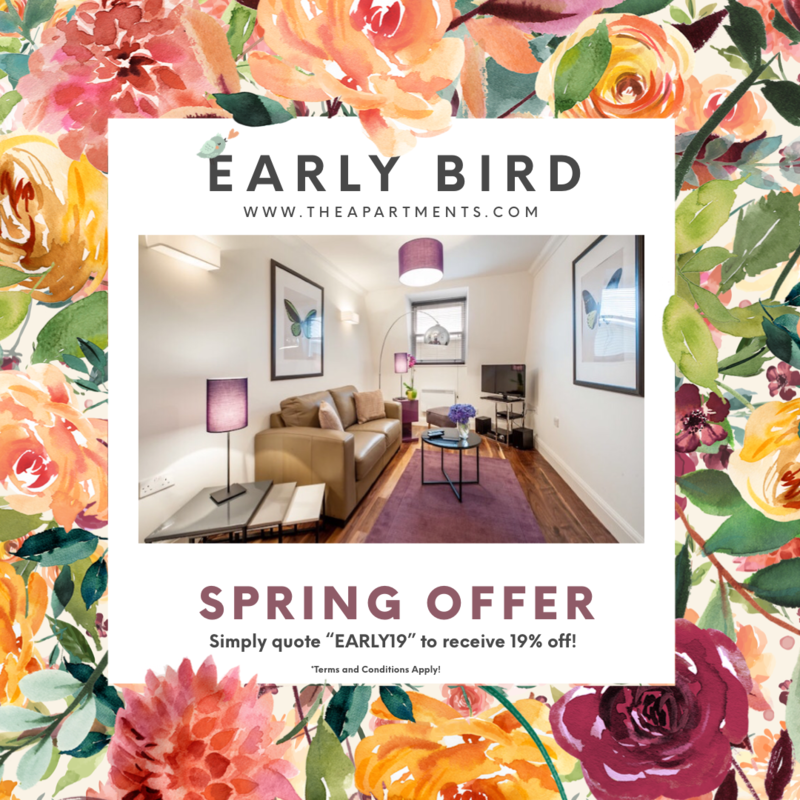 Applies to arrivals and bookings made between now –30th April 2019 inclusive. Discount available on full published rate. We reserve the right to withdraw promotions or discount codes at any time and without notice. 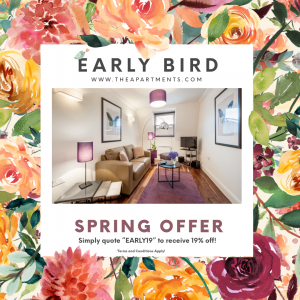 Early Bird Spring Offer! 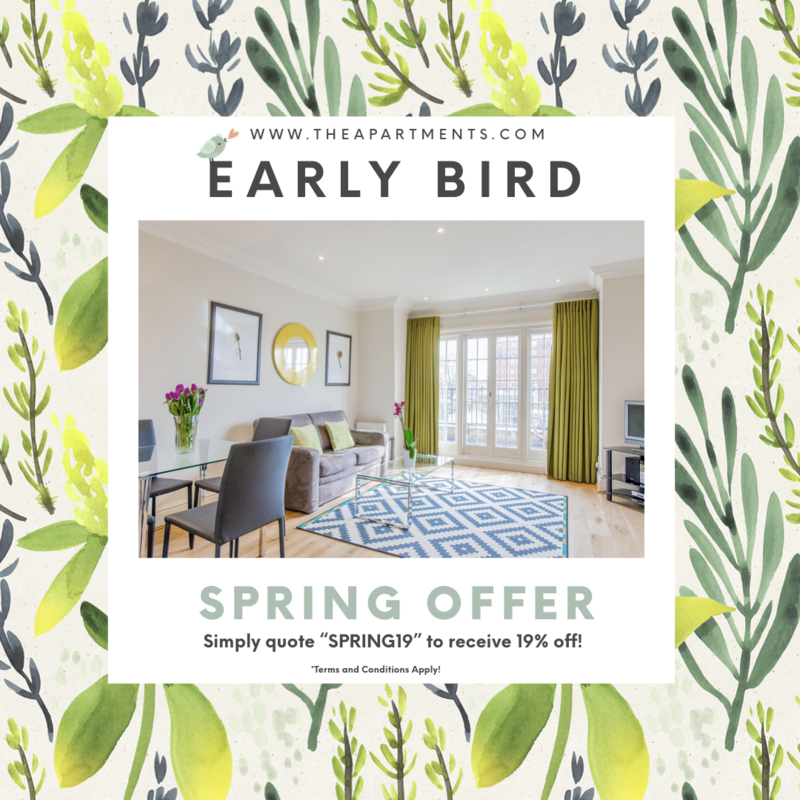 – Book now in SPRING19 to receive a lovely 19% OFF. When you book direct at The Apartments by Prestige we guarantee to offer you the best rates for your booking. 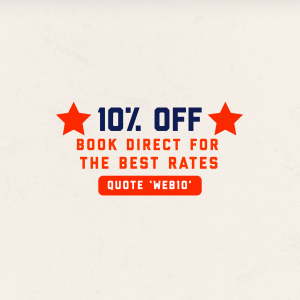 If you’ve seen a better rate online contact us now to match the quote or use the code ‘WEB10’ to get an automatic 10% discount on our standard rates.